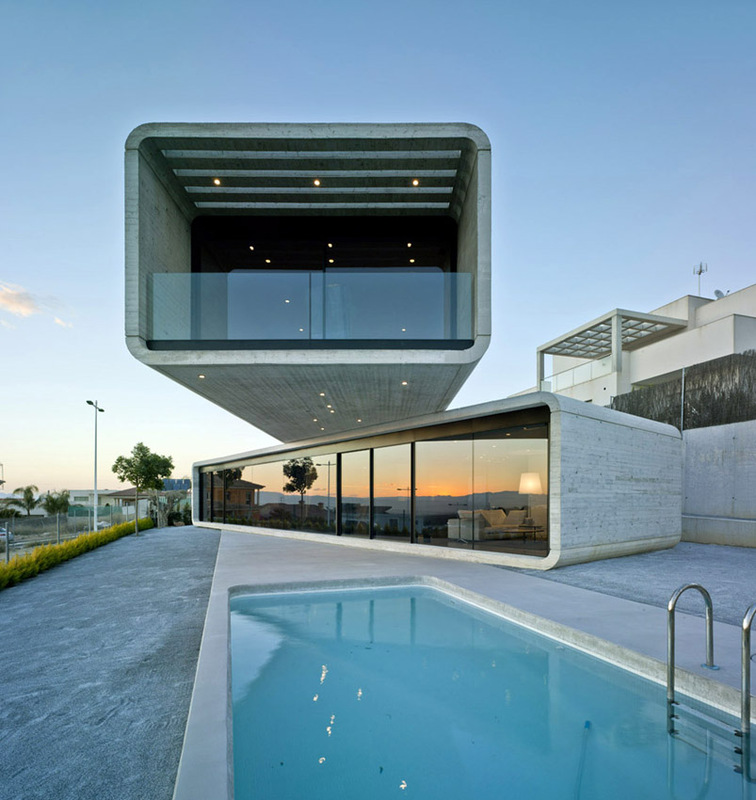 There’s a great deal of extraordinarily-designed houses across the globe and we decided to highlight some of the modern architecture homes that caught our attention. From portable houses to cantilever designs, this compilation will aim to satisfy your urge to peruse ultra-modern developments, and perhaps inspire your next project? 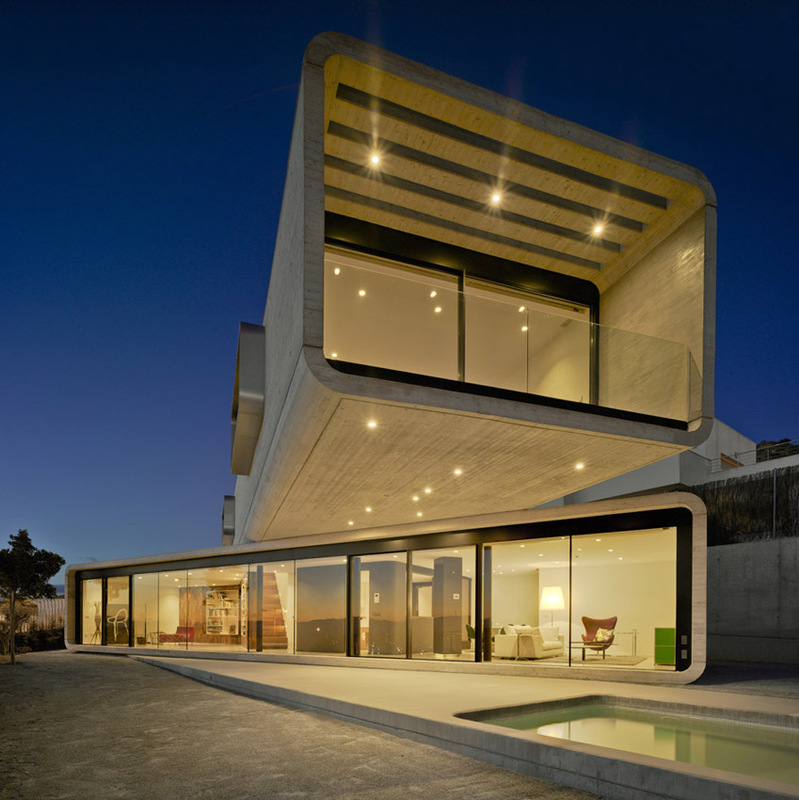 Casa Cruzada, aka 'Crossed House', is located in Murcia in Spain and designed by local architecture practice Clavel Arquitectos with lead architect Manuel Clavel Rojo. 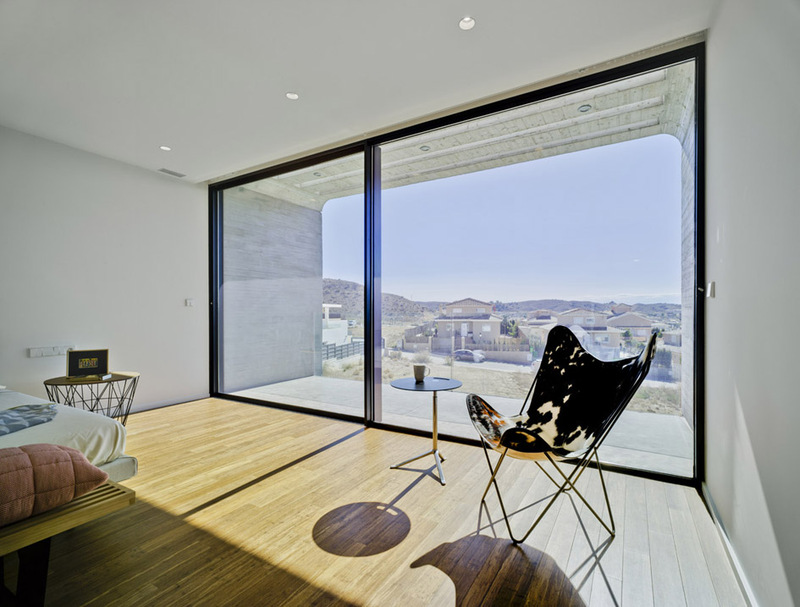 The idea for the crosses house - a cantilever arrangement - was to allow residents of this modern architecture home to easily access the garden area as well as enjoying amazing views of the adjacent mountains range, 'Sierra de la Pila' and 'Valle del Ricote'. 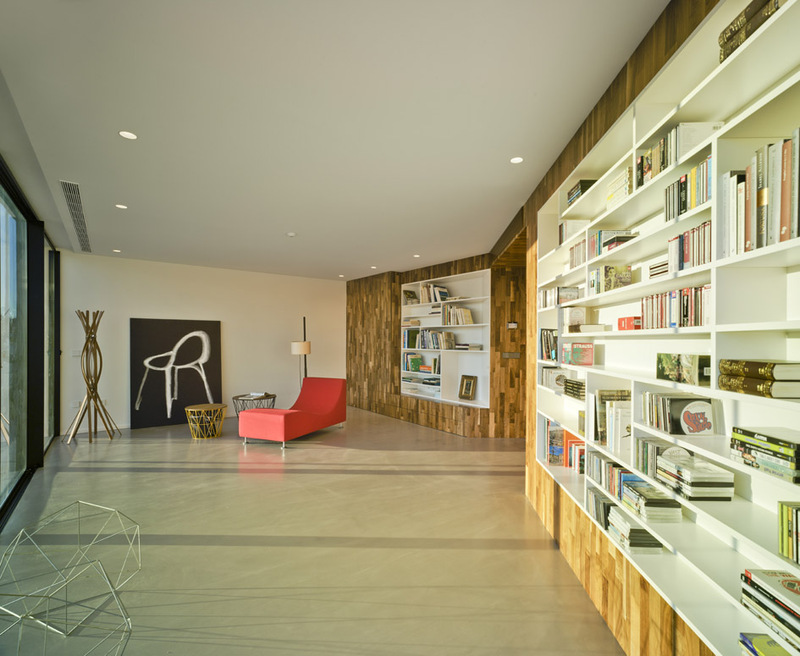 Clavel Arquitectos spoke about how the design operates, 'by a geometrical operation, the rotation of two elements, as if it were two construction[s] [of] toy blocks that are stacked and handled easily. The stacked oblong volumes, of a length of 20m and a depth of about 5m, are rotated by 35 degrees so that the extremes orientate to the most favored views and generate at the same time cantilevers of about 10m length. 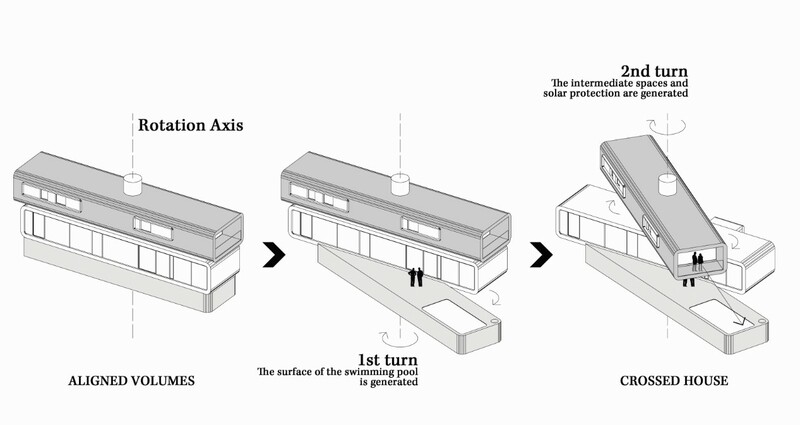 As a result, the positions of the cantilevers are able to provide sun protection of the facade and the pool residence. Rounded edges on the ground level capture the opening to the southeast while upstairs the longitudinal edges are rounded and frame the rooms at each end of the structure. 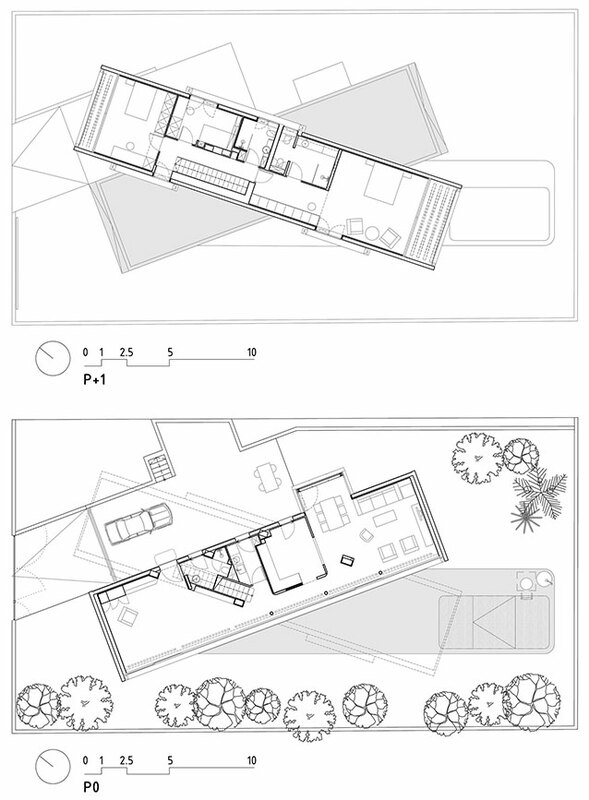 According to the architects, this method is supposed to decrease the contact surface between the two stacked volumes and 'reinforce the oblong nature of their geometrical form'.